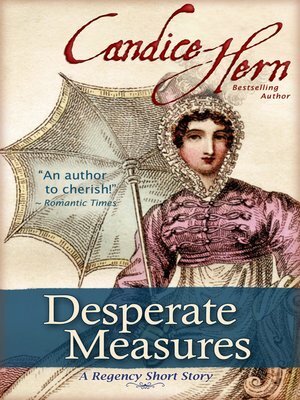 This witty Regency short story (less than 10,000 words) by New York Times bestselling author Candice Hern will appeal to readers who enjoy the traditional Regency Romances of Georgette Heyer, Barbara Metzger, and Carla Kelly. Lydia Bettridge is a young woman suffering the pangs of unrequited love. To capture the attention of Geoffrey Danforth, the man who has stolen her heart but barely notices her, she has resorted to desperate measures with a seemingly clever plan. By engaging the help of Phillip, a friend of her brother's, to play the love-smitten fool in public, she hopes to pique the interest of her unnamed love. But when Geoffrey himself shows up to take Phillip's place, all her careful planning is turned upside down. What's a girl to do but to make the best of it? "Candice Hern is a striking talent of superior merit, one whose intelligence, wit, and craftsmanship are as impressive as her elegant romantic sensibility." —Romantic Times.